Just saw the incredibly powerful new Dove Onslaught video during the lunch presentation here at The Search Insider Summit . I think the latest update to the Campaign for Real Beauty which established the Dove Self-Esteem Fund is a great step in the right direction towards resetting our societies self esteem. I was surprised to learn that the very provocative Axe brand is under the Unilever umbrella, making for a stark contrast between the two brands that Ryan Clifton parodied in this video below. The point of the most excellent Google presentation from Suzie Reider (former CMO for YouTube and current Head of Sales and Marketing) was that companies need to really understand the power of visual storytelling. She explained the power of video through her own personal experience when the story of President Bush inappropriately massaging the German Chancellor broke. Being offline, she has not heard of the story, so she excused herself to go check it out online. When she searched for the video and saw it for herself, she was immediately up to speed and able to participate more actively in the conversation. I was very impressed with her and her presentations was very informative – not what one might expect from a sponsored lunch event – she definitely walked her talk during her presentation, which included the following four takeaways. In speaking with a few people afterwards, I was curious as to any characteristics that might be helpful in understanding at what point a brand might be ready for what comes back, so that they may really engage in the conversation. The response was universal, and in line with the early work we did at The Conversation Group in identifying our ideal clients. Courage – a willingness to just do it and show that the results most generally speak for themselves. In that courage is an essential element of participation in any real world arena, it makes sense that is a pre-requisite here, in the early market for corporate engagement through Social Media. Are you prepared for what might come back? What are your favorite stories of where it wasn’t as bad as some of your co-workers may have feared? Help me help you. I need your input for my book. There is a lot going on these days and a lot of different books being written about what’s happening, with an apparent emphasis on social media, communities and user generated content. As the founder of Social Media Club, it should be obvious that I am writing a book focused on the rise and importance of social media – to a large extent, I am writing that book, but as Doc Searls says, there is something of greater significance happening beneath the meme. 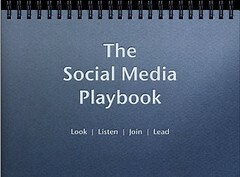 While I am still torn on the title of my book, it is now being envisioned as “The Social Media Playbook.” The goal for me is to help people understand the era we are now entering and enable professionals to maximize the effectiveness of their participation on behalf of the organizations they represent. For me, this is best seen through the framework of Look, Listen, Join, Lead. In that it is as much art as it is science though, the book will be peppered with PURPOSE – or rather, illustrating the answer to WHY through metaphor and real world stories. Ultimately, social media is the spark that has ignited the movement towards the HUMANIZATION OF THE ENTERPRISE, which I will illuminate better over the coming weeks. 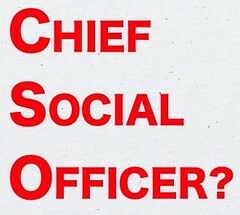 More urgently though, I am participating in a survey put together by David Brake of Content Connection together with entrepreneur extraordinaire Lon Safko to determine what you really know about Social Media and what you would like to understand more deeply. Receiving the gift of your time to take the survey, and better still, to pass it forward to others, would be a huge help in getting the right information into the book. There are a few iPod nano’s being given away as prizes, your responses/personal information will be kept private and your participation will be recognized appropriately. Please take the survey here www.contentconnections.com/socialmedia2007. Please note that Lon is a friend, but not a co-author of my book – he is writing his own book on the subject from a different angle. It is an interesting situation, to be collaborating in this way on market research, but to essentially be competing for attention in the market once the books are published – I think of it as an experiment in co-creation and co-opetition, which in and of itself makes for an interesting case study… Then again, this is just a more explicit expression of support similar to what I have been giving to others such as Paul Gillen, Geoff Livingston, David Meerman Scott, Shel Israel/Robert Scoble, David Weinbergber and Debie Weil. I expect I will be doing the same with Charlene Li and Tara Hunt’s upcoming books – each of whom has a valuable perspective to be considered that helps us all move along in the right direction, which is my ultimate goal – to help make the world a better place by sharing what we know. You are currently browsing the archives for the THe Social Media Playbook category.